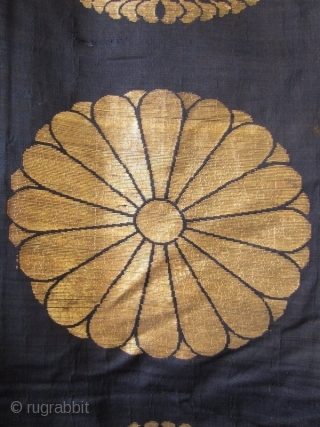 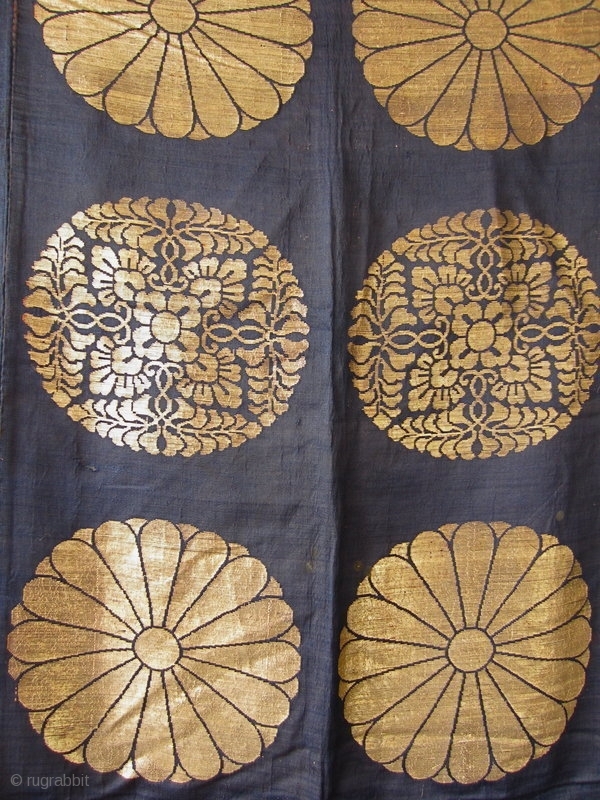 Beautiful antique Japanese large covering originally used in a Buddhist temple. 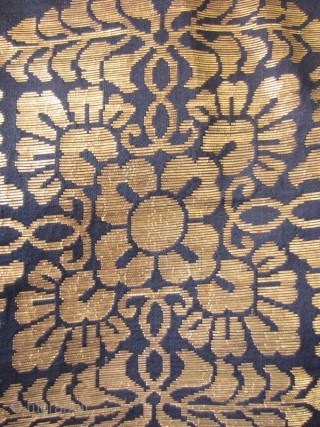 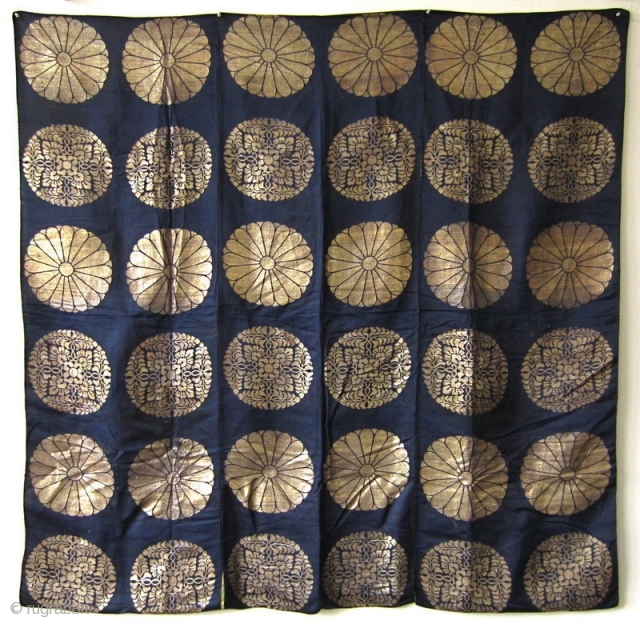 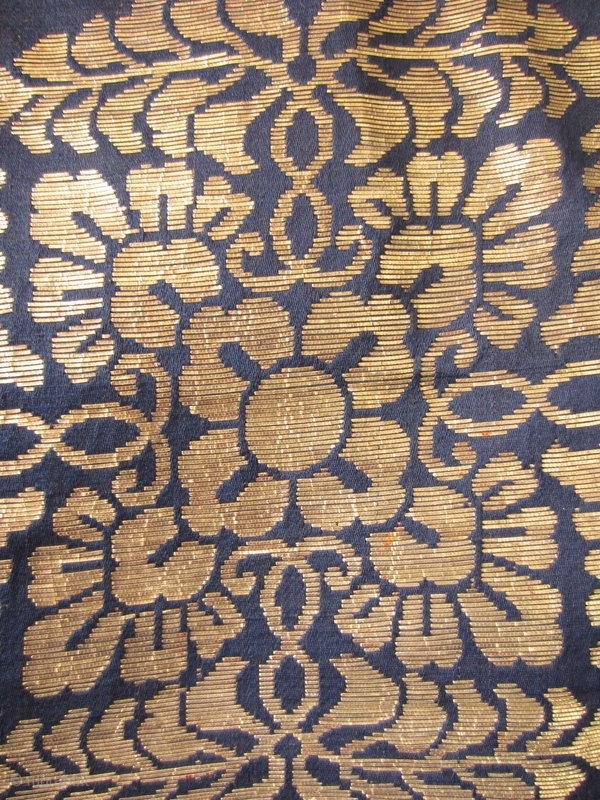 Three deep blue silk panels sewn together and woven with gold in design of 18 chrysanthemums and 18 floral roundels. Chrysanthemums with 32 petals, back is lined with a light blue cotton.